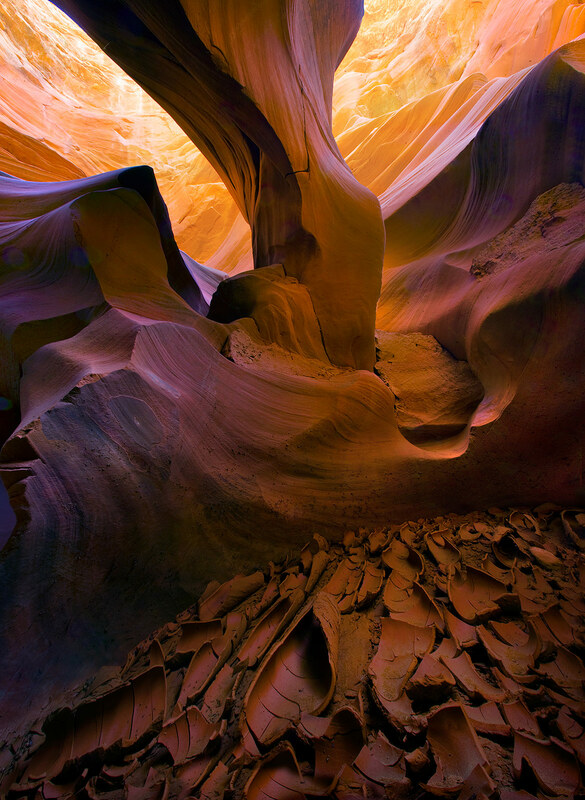 Various waves and textures (ribbons) of sandstone showcase the lower half of this natural arch in a very remote slot canyon environment. Cracked mud formations from the last flood compliment the foreground. Photo © copyright by Marc Adamus.